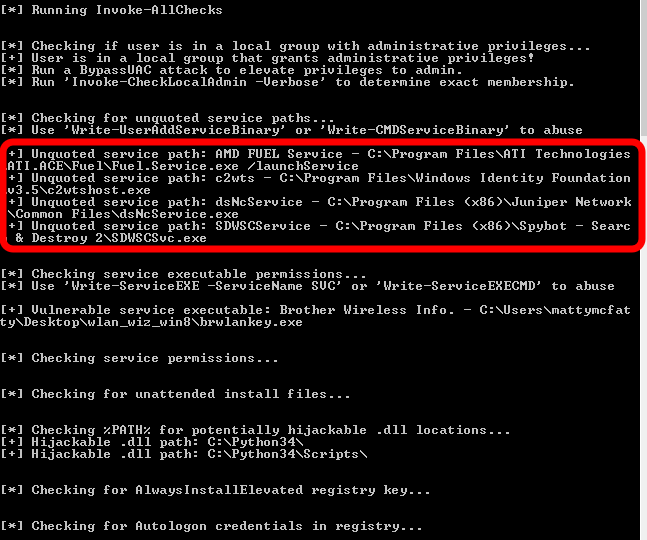 What is the unquoted service path vulnerability in Windows? Windows has no question about where to find this executable. 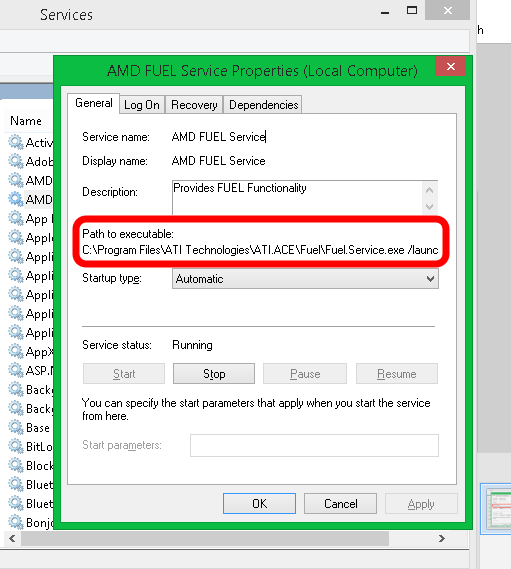 Now Windows has to try to figure out what file the folks at AMD are referring to. Since spaces on the command line could either be a part of the FILE PATH or they could indicate COMMAND-LINE ARGUMENTS. So who cares if you can use unquoted paths to execute something? Well, attackers do. If an attacker has a low level account and wants to escalate privileges, he can look for a service that runs with SYSTEM or ADMINISTRATOR rights and use that service to execute a command of his choice. All he has to do is drop a malicious file named C:\Program.exe and have the file create a new user. OK Cool. So how do you exploit the vulnerability IRL? Now, all we need is a way to create a malicious Program.exe to create a new user. Let’s use Metasploit to create a malicious exe! 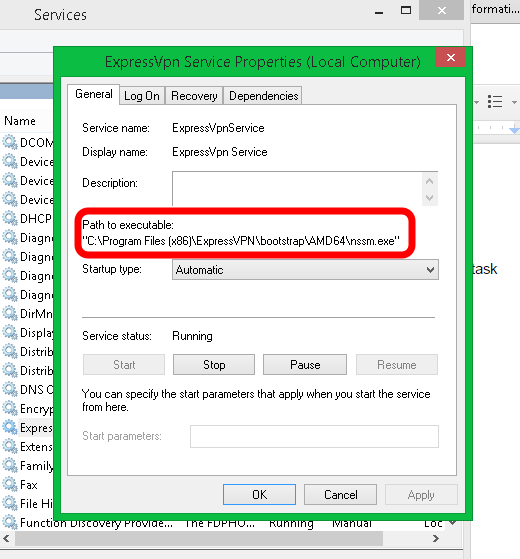 We fired up MSFVenom and created an exe payload. Here are some good details on how to do this. Only to find out that this thing needs to be running as a SERVICE and can’t be just a run-of-the-mill EXE. Scratch that. Let’s use Metasploit to create a malicious exe! Let’s use Metasploit to create a malicious service-exe! Will give us a list of available payload formats. We add a “-f exe-service” and add the file to the target. Only to find out that their Anti-virus knows metasploit and doesn’t like it. Scratch that Let’s use Metasploit to create a malicious service-exe! Let’s use Veil-Evasion Framework to bypass AV! Nothing against Veil, but I couldn’t get it to work right on my Kali machine. It looks like it has a ton of cool features. But each time I ran into problems, I read on the forums someone who has the same problem and the answer is always “Wipe Kali and re-install Veil on a clean OS.” That was not an option in this circumstance. So scratch that Let’s use Veil-Evasion Framework to bypass AV! Lets use C# to make our own service executable and bypass A/V! The event logs show that the exploit RAN!!! Both are good tricks to keep in your arsenal. Hit me up with comments/questions. Happy Hacking! For more information, check out the privilege escalation portion of the book The Hacker Playbook 2: Practical Guide To Penetration Testing. It helped me immensely in getting this exploit working. Thanks for share your work, im looking for some exploit similar for windows 10 and 7 updated, but i have no luck, i will searching.